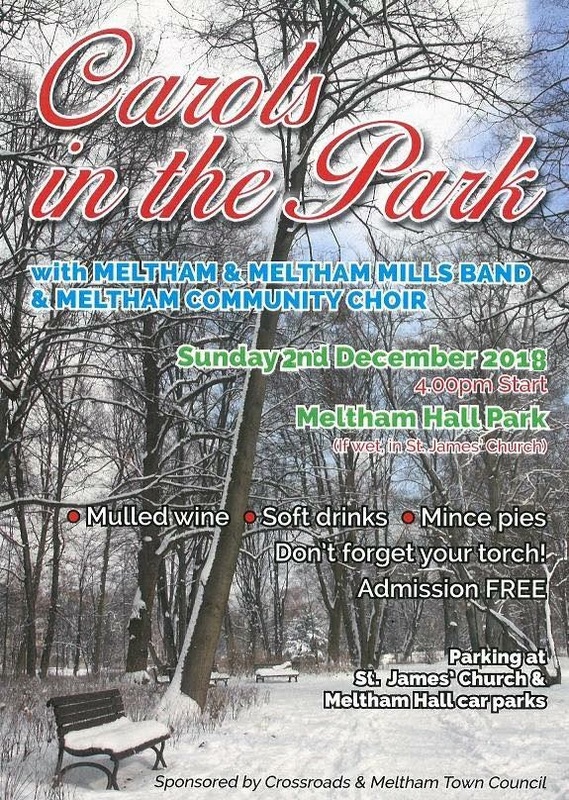 Join us on Sunday 2nd December at 4pm in the Robert Ashton Memorial Park for the annual Carols in the Park led by Meltham & Meltham Mills band and Meltham Community Choir. The school children will also be singing for us. 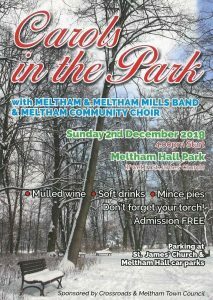 Mulled wine and mince pies for all. Everyone welcome!